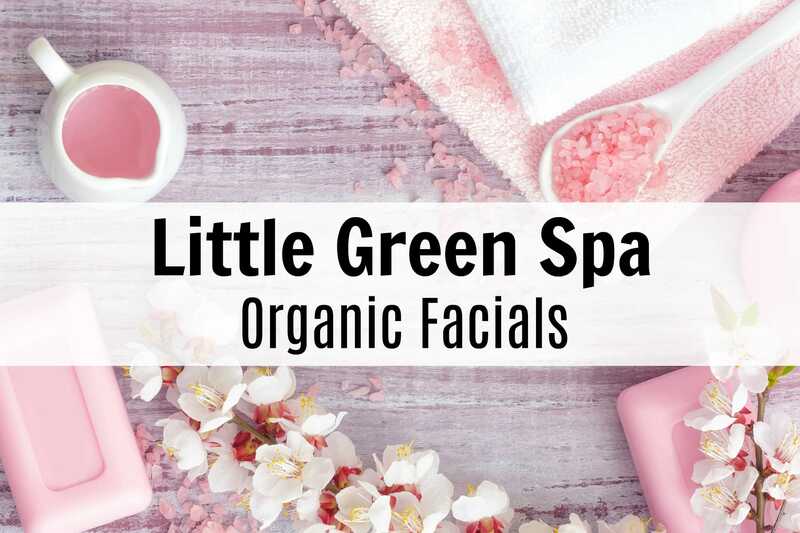 If you’re looking for organic skin care in the Orlando, Florida area, there’s just one choice – Little Green Spa! 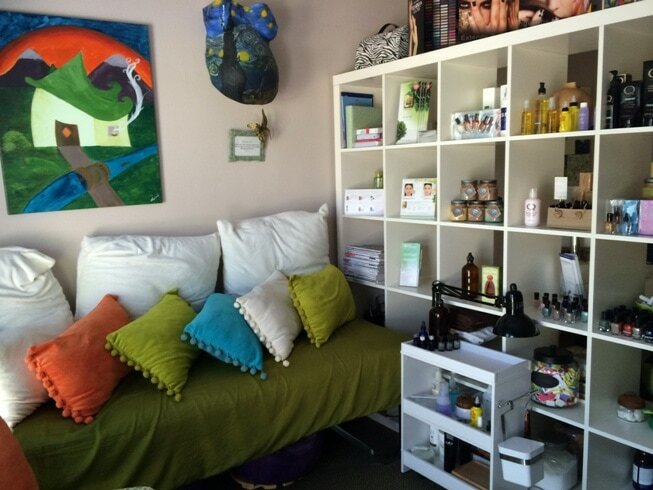 Located in Winter Park, FL on Lee Road, the Little Green Spa is an oasis of healthy, smart skin care. I should have gone to the Little Green Spa long before I actually got around to making an appointment. Seriously. I’ve had some issues with hormonal acne (before things started clearing up with Hormone Replacement Therapy). Apparently, my do-it-at-home treatments of trying to pop cystic acne have created a deep infection underneath my skin. Had I gone months ago and had a facial, perhaps it would never have gotten this bad. But by the time that I walked into the Little Green Spa, my skin was screaming for professional help. 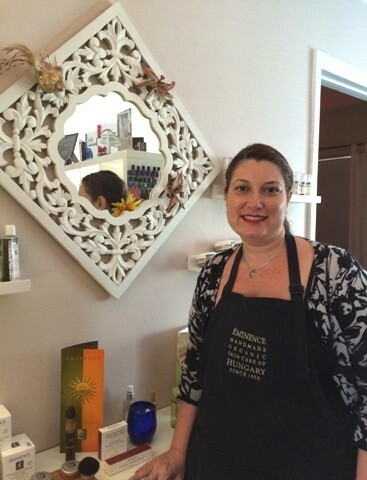 Lisa Behrens owns the eco-friendly body, skincare, manicure and pedicure center which uses Eminence Organic Skin Care products, Young Living Essential Oils and Zoya nail polish. I browsed the website, looked at the list of skin treatments and booked a Paprika Acne Treatment. (FYI: the organic facial options are now more streamlined, and you don’t pick from individual treatments). I wasn’t sure if I had booked the right choice, so when I arrived for my first appointment, Lisa took the time to investigate all of my complaints and concerns, asked plenty of questions about my lifestyle and allergies, and then concurred that the Paprika Acne treatment, which revs up blood flow to the skin with the potent spice, was the best choice for me. Did you know that the area where you break out is often caused by certain environmental factors? Lisa takes that into account during the evaluation to try to figure out why you have acne, and not just treating the symptom. The multi-step Paprika Acne treatment seems to use a lot of elixirs and plenty of hot steam to open up the pores. I didn’t really notice any difference in my skin during the treatment until the Hungarian Paprika treatment was put on and then my skin definitely felt warmer! It’s not uncomfortable or burning hot, but you definitely can feel the blood rushing to your skin to help heal and treat problem areas. After resting for 15 minutes with products on my skin and serene music in the background, it was time for the extractions. Extractions aren’t necessarily a fun thing. It’s not pampering like most spa procedures. Usually my eyes were tearing up because of the extractions on my nose. Which is why it’d be great to go before you have too much of a blemish problem. You want to get the stuff out before it starts causing problems. You also don’t want a dermatologist to prescribe you antibiotics because of acne, especially if you could avoid the problem with deep cleaning facials to begin with. I had plenty of built-up gunk in my pores, having never had a facial before. After an in-depth look, Lisa found five huge problem areas on my skin and said the infection was so far down that we couldn’t treat it right away. It actually had to work its way up to the top before it could be removed. Another reason to start facials early and before you desperately need one. My skin was clear and somewhat smooth when I left. I definitely had a tingling feel for a day or two. My skin looked so much better for a week and a half, and then I started having some serious cystic acne again. Needless to say, I was discouraged. I had started an Eminence skincare program with the Mineral Cleansing Concentrate and Clear Skin Probiotic Moisturizer, among other topical items. And it wasn’t cheap to be doing this skincare routine. I waited two weeks before booking another appointment. The acne never cleared and my skin looked angry again. Yet after my second facial, Lisa said that she noticed definite improvement in my pores. This time, there were far fewer extractions and my problem areas were only half as big as they were before. It seems that the infection is indeed working its way out of my skin and up to the top were a professional can extract the nasties out of your pores. Your skin regenerates itself every 28 days, so for this much improvement to happen in one month, it is remarkable, considering I haven’t been on any drugs or toxic skin care products. How Does the Little Green Spa Compare? 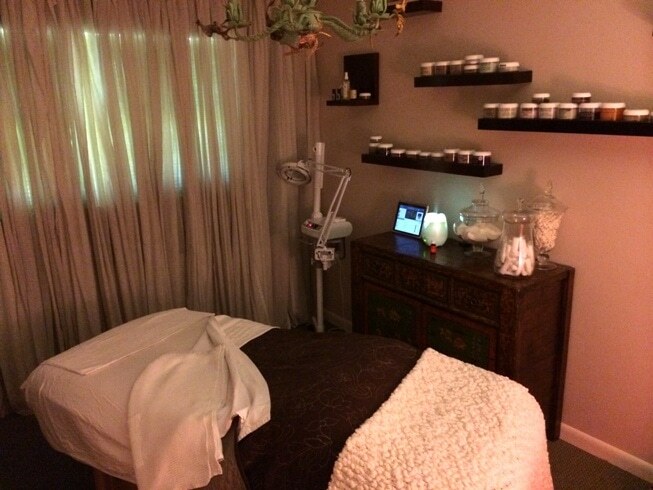 Facials aren’t the only organic spa treatments that Lisa and her staff can provide. 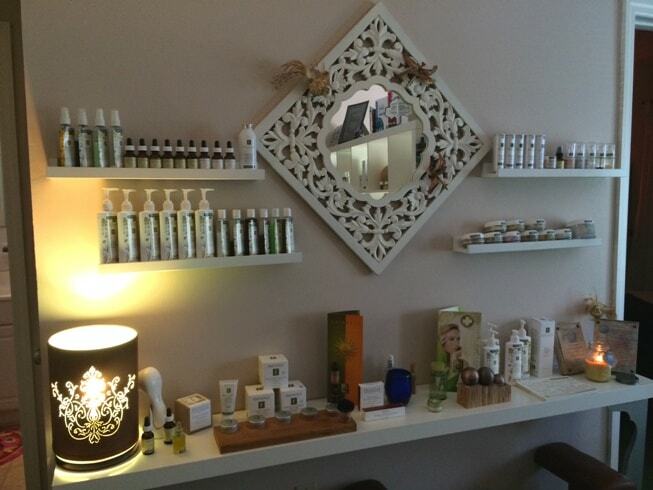 Advanced facial treatments, waxing, manicures and pedicures using eco-friendly and natural products are all available. It’s also a great place to come and stock up on Eminence skin care supplies and other eco-friendly, non-toxic products you want to buy. I’ve gone to Little Green Spa several times for facials. We usually did the Paprika treatment, but there were some other organic facials that we tried. Lisa was never rushed, always took time to listen, and really knew her stuff about organic skincare. What I also appreciate was the mini-massage of head, neck, shoulders, arms and wrists. All together a facial at Little Green Spa is totally relaxing! Now, I have to admit, that I had nothing to compare the Little Green Spa experience to. It was my first facial, and I was really impressed. But maybe they get better, right? Well, I was given an opportunity to try out the HydraFacial Skin Treatment for free at a spa. After that experience, I was definitely more impressed with Little Green Spa’s facials than ever before. I’ve also gone to a nearby spa for a facial, after we moved and it’s just too much to go back to Winter Park for a facial. The facial at the nearby spa was completely horrific. The extractions were pointless. And I think my skin flared up with more acne because of the facial (not done with organic ingredients). 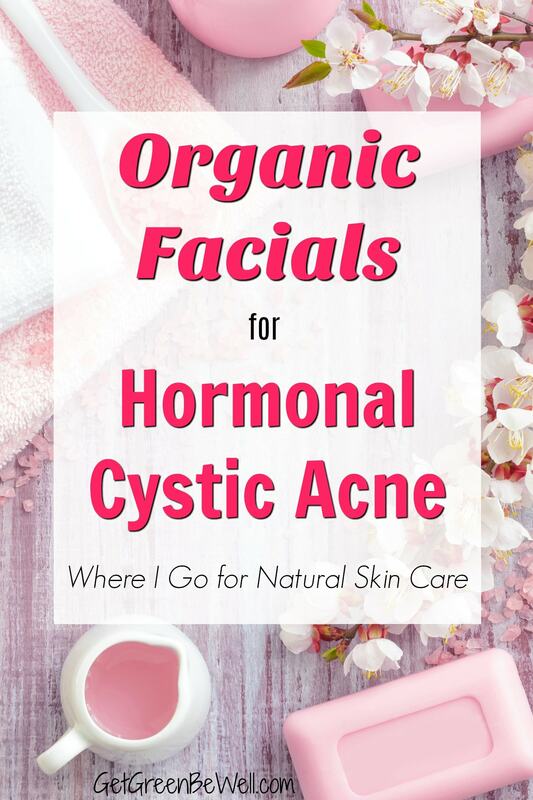 Getting facials at the Little Green Spa was just the beginning of my steps to take to get rid of nasty, painful hormonal cystic acne. Getting my hormones under control with a holistic endocrinologist was THE key! Without the bio-identical hormone replacement therapy I started, I don’t know how my skin would be (or my sanity). I started using Eminence cleansers after my first visit at The Little Green Spa. However, we agreed they were just too harsh for my skin. (Even organic ingredients can be harsh.) I switched to this oil cleanser on my own (I was sent some to review and thought, why not?) and immediately started seeing a difference in my skin! Lisa agree that my skin was not as dry, and the Vitamin C in the product was actually helping to heal the acne scars. Washing with oil doesn’t always work great for everyone, so you need to follow these four steps to washing your face with oil to have the most success. My facial moisturizer was switched to Eminence Clear Skin Probiotic moisturizer after I started seeing Lisa at Little Green Spa. I LOVED this moisturizer! But not the price. On my own I started trying different facial moisturizers with probiotics. I did find some great alternatives at a fraction of the price of Eminence. But I have realized that I ALWAYS need a moisturizer with probiotics. When I switch to something else, the breakouts start to happen. My skin gets angry really fast. Even with all natural ingredients. I tried this interesting natural probiotic skincare line and instantly my skin was dry as sand paper. I bought the Eminence Strawberry Rhubarb Dermafoliant for gentle exfoliation, too, and it just angered my skin. So just because it’s natural, doesn’t mean it’s going to work on you. This post was originally published May 2014. It has been updated August 2018.